1) a Swedish Death/Doom Metal band that was formed in 1990 under the name Necropsy. They released four demos - "Ceremony of Doom" and "Suffering" in 1991and "Doomed" with Distorted Harmony records and a promo tape in 1992. 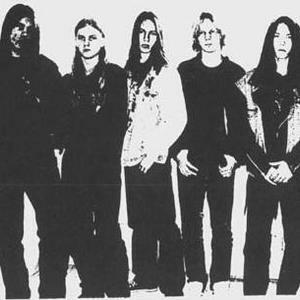 In 2006 Morbid Wrath records released a compilation "Total Darkness" containing their demos and the previously unreleased "Twilight in the Wilderness" that was recorded in 1992 and was supposed to be released back then by Necropolis records but that never happened. official myspace. 2)Greek Black Metal band formed in 2004 in Ioannina. Eternal Darkness is also a video game made by Silicon Knights and released by nintendo. The musical composer is Steve Henifin. 3) Bulgarian Black Metal band.